I am the author of the macabre Miss Mary Pennynickle series (Miss Mary Pennynickle's Tales of Torment for Toddler and Miss Mary Pennynickle's Fairytales of Foreboding) and the tween noir Connie Cobbler: Toy Detective. I am a writer, teacher and actor. I have been a Crime Victim Advocate for several years, assisting victims of violent crimes. Miss Mary Pennynickle was a very stern elementary school teacher in the late 19th century into the 20th century. She used many dark stories to teach her students valuable lessons, such as proper behavior and respect for one's elders. It is not clear as to when she was born. There has been no information on her date of death, either. It is generally believed that Miss Pennynickle was married and gave birth to three children. However, any evidence of that was burned when her home in New England mysteriously burned to the ground. Many of her disturbing works have recently been discovered in the attic of one of her former residences. They were found in a leatherbound (believed to be leather) book. While it is impossible to print these works due to their delicate physical condition, James DeSalvo has painstakingly transcribed several of her stories here for your enjoyment. Please read on. Learn the lessons of Miss Mary Pennynickle and take them to heart. Her students certainly did. Miss Mary Pennynickle continues the macabre tales she established in Miss Mary Pennynickle's Tales of Torment. 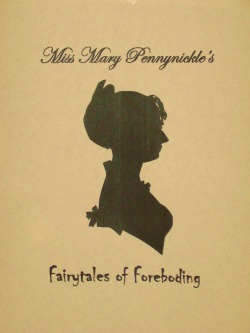 In this collection, Miss Mary Pennynickle takes the fairytales we grew up with and twists them to terrify the children in her charge. From the cannibalistic Hansel and Gretel to the Boy Who Cried Wolf, Miss Mary Pennynickle shows why she was one of the most feared teachers in the history of New England. Find out why her students were scarred for life (and sometimes death). Connie Cobbler is a toy who had it all. She was the star of her own television series Connie Cobbler and the Pastry Pals. 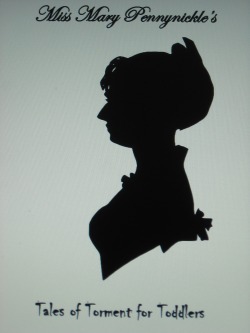 Her face appeared on t-shirts and she even starred in The Pastry Pals Movie. She was one of the brightest stars of Toy Town. Then tragedy struck. Her friend Tiffany Tart accidentally disappeared into the Custard River while filming an episode of Connie Cobbler and the Pastry Pals. 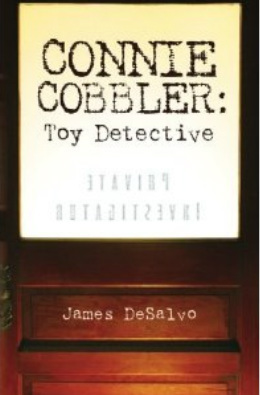 Unable to save her friend and spurred on by grief, Connie Cobbler turned away from show business and became a hard boiled, root beer swigging private detective, dedicating her life to protecting the toys of Toy Town. Connie Cobbler's day begins with a tough case. Brenda Bombshell, one of the top stars in Toy Town, needs Connie to find her kidnapped dog. When Connie starts working on the case, she soon figures out that not everything adds up. Clues lead her to the missing pooch, but some clues also suggest that Tiffany Tart's disappearance might not have been an accident after all. The closer she comes to the truth, it becomes clear that someone wants her out of the picture. Permanently. Calling upon her best friend Action Jim, a former action figure who gave up a life of adventure for love, and the rest of her Pastry Pals, Connie sets out to discover what kind of toy would want her gone and solve the case of what really happened to her friend.